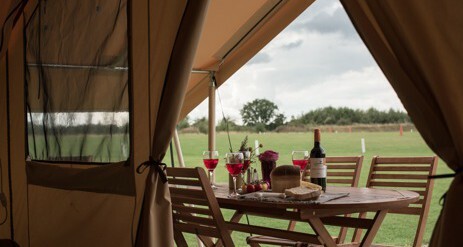 Our Glamping Safari tents at Adestone Campsite on the Isle of Wight are for the finer things in life. 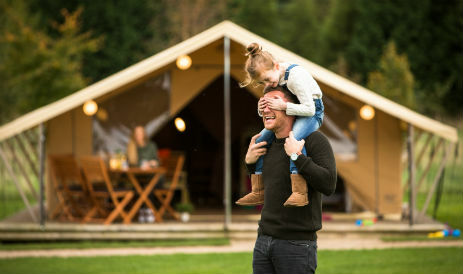 Go glamping on the Isle of Wight and enjoy hot showers and proper toilets without a wet groundsheet in sight. 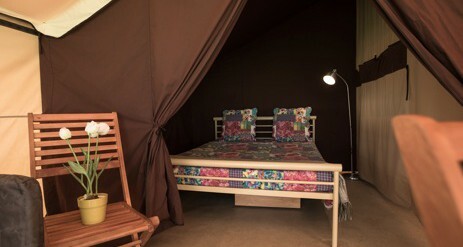 Your Adgestone Ready Camp residence sleeps up to six people and is fully fitted with real furniture and proper beds. Adgestone Camping site is perfect for families and even has a swimming pool (please note: open June to September). The Isle of Wight is beaches, rolling countryside and snug nights in the great outdoors. 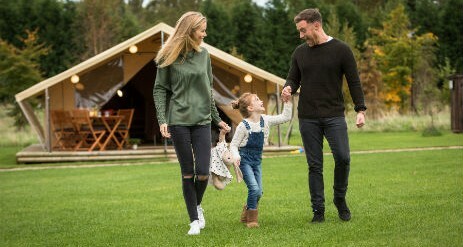 Prepare to discover the Isle of Wight from our spacious glamping site. There’s plenty to see in the Isle of Wight. 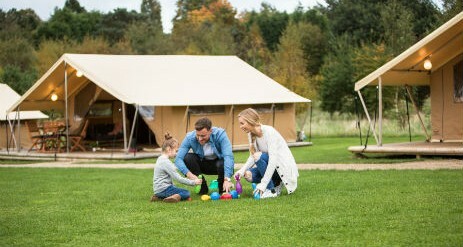 and our glamping is perfectly placed to let you explore all of its treasures. Visit Brading Roman Villa with its preserved mosaics or step back in time with a fossil walk at Dinosaur Isle. Great for the kids are Owl and Monkey Haven, where your own cheeky monkeys can get up close with the likes of some noisy gibbons, barn owls and lemurs. 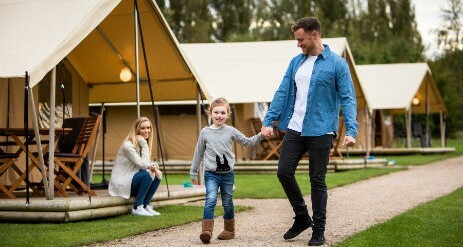 The glamping site includes a HEATED SWIMMING POOL (open from June until early September), paddling pool, childrens play areas, an on-site holiday manager, showers and toilets, entertainment such as giant jenga and table tennis. If you are visiting the Isle of Wight then a day on the beach is a must. Seaside resorts on the island include Sandown, Shanklin, Ryde, Cowes and Ventnor. Be sure to pay a visit to Adgestone Vineyard, which is one of the oldest wineries in Britain. Stock up on the wine and head back to toast your glamping experience on your own terrace with a glass of the Isle of Wight’s finest wine!